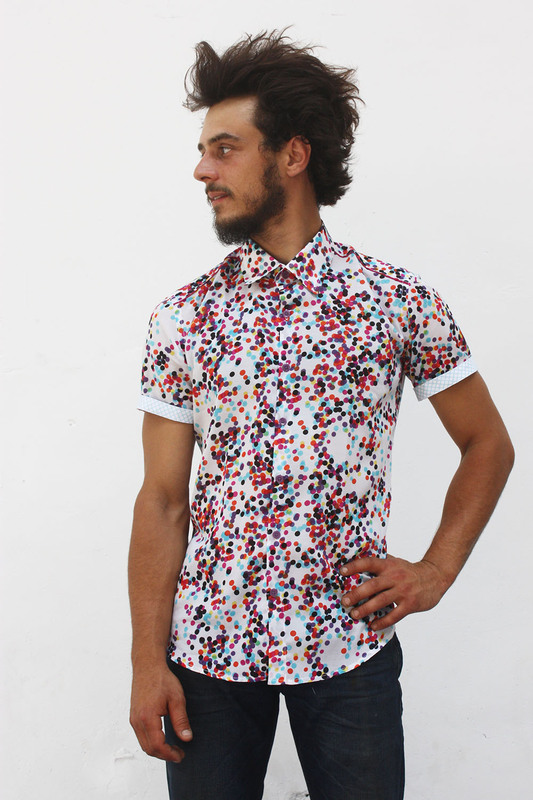 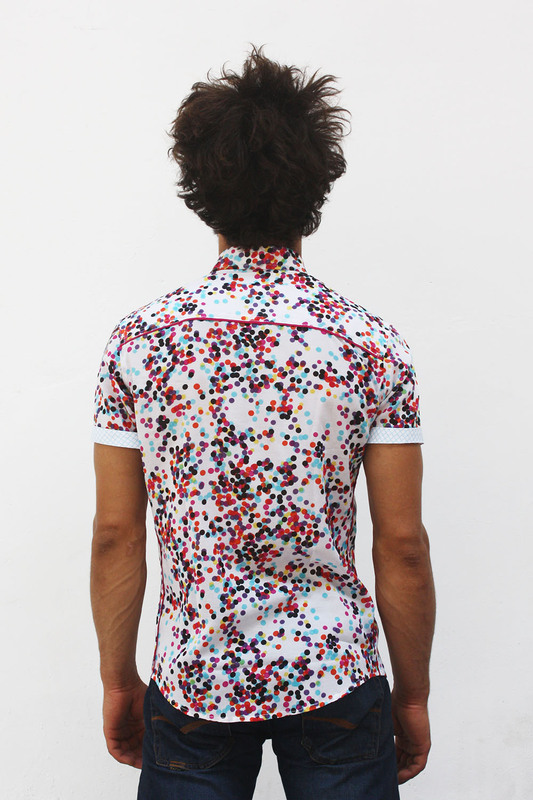 Mens short sleeve polka dot shirt, made out of cotton voile. 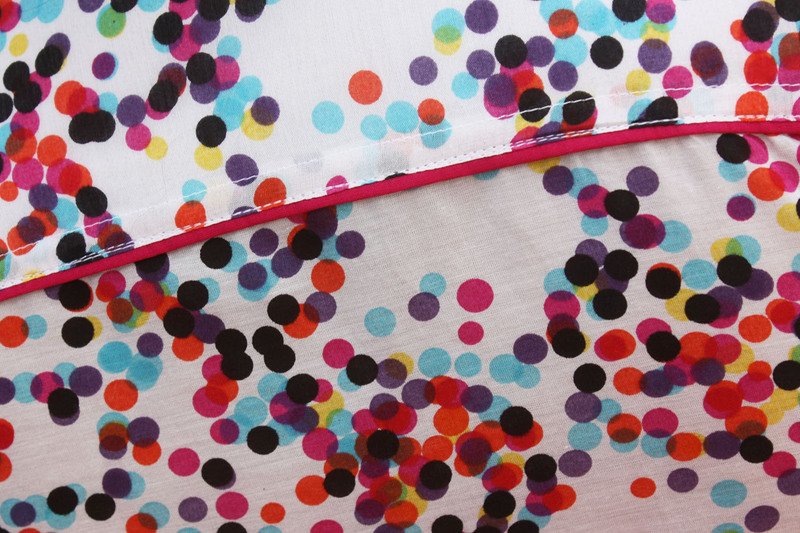 Multi color polka dot - confettis - on white background. 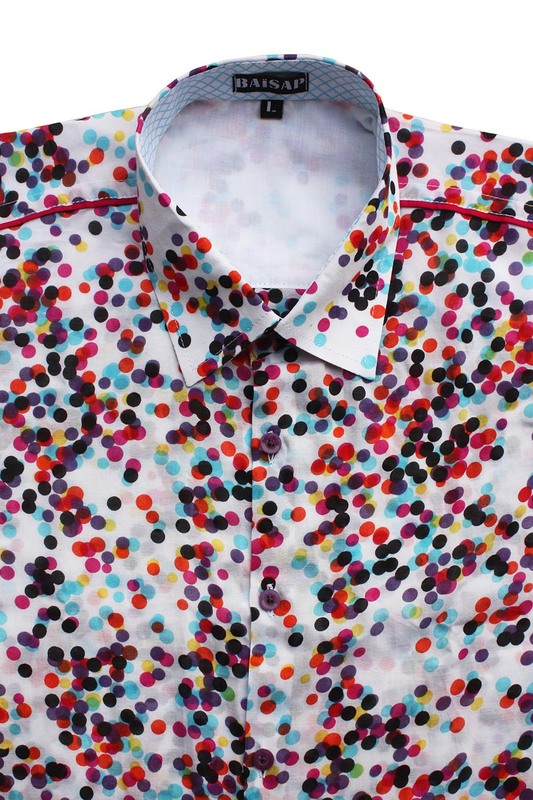 Blue checks on collar and sleeves lining.